Interior decorator We give the best design in 2d and 3d design for ur homes. 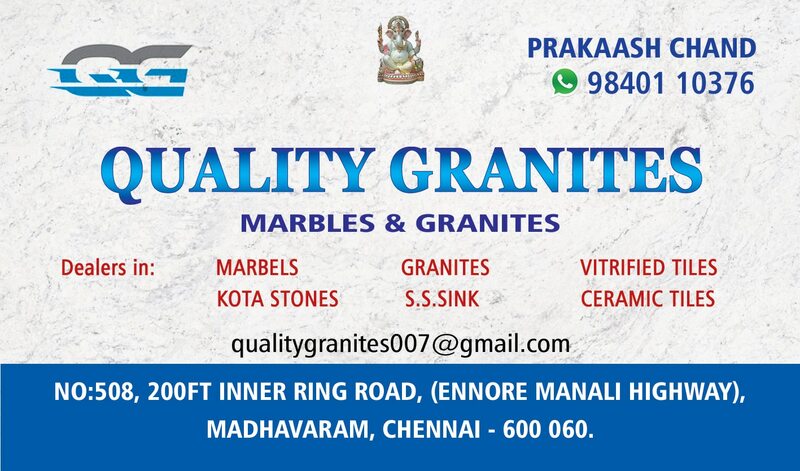 Marble s and Granite's Quality material best for kitchen , steps , pooja room, elevation etc . Modular kitchen We are the best modular kitchen designer in chennai. Wall and floor tiles Latest design in both glossy and matt finish . perfect shapes and size of tiles make ur home more beautiful. Tiles Latest design of all size tiles available at one place. Interior decorator We do all kinds of interior design work at best rates. Modular kitchen We do all shapes of kitchen design at best rates.